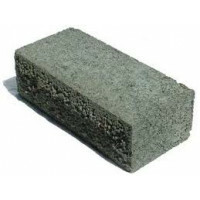 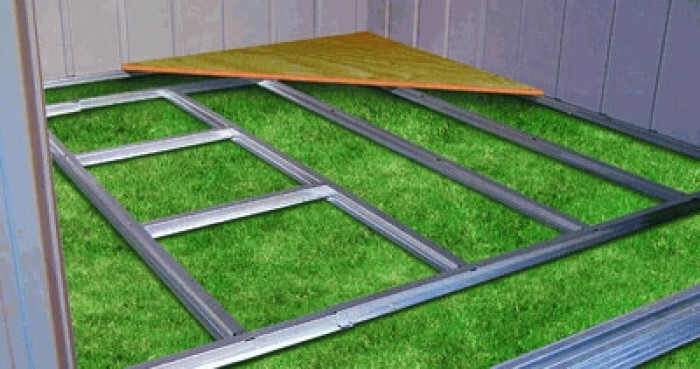 FREE DELIVERY & FREE FLOOR SUPPORT KIT! 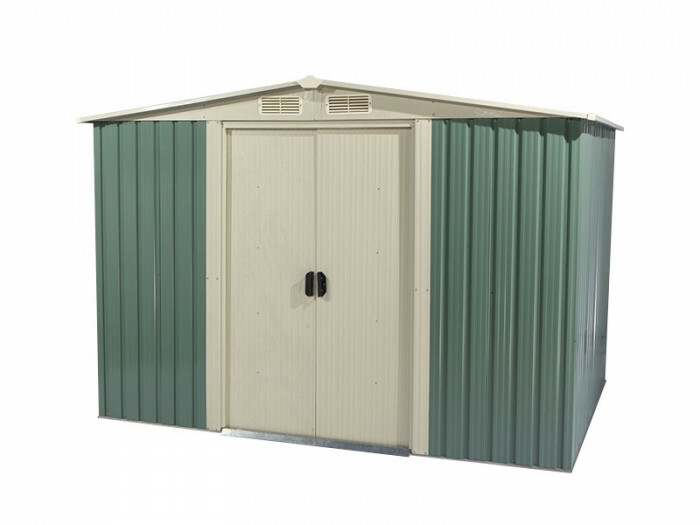 This 12ft x 10ft Apex style metal storage shed WITH FREE FLOOR SUPPORT KIT, is made from electro galvanised metal and provides a strong secure storage solution at a very favourable price. 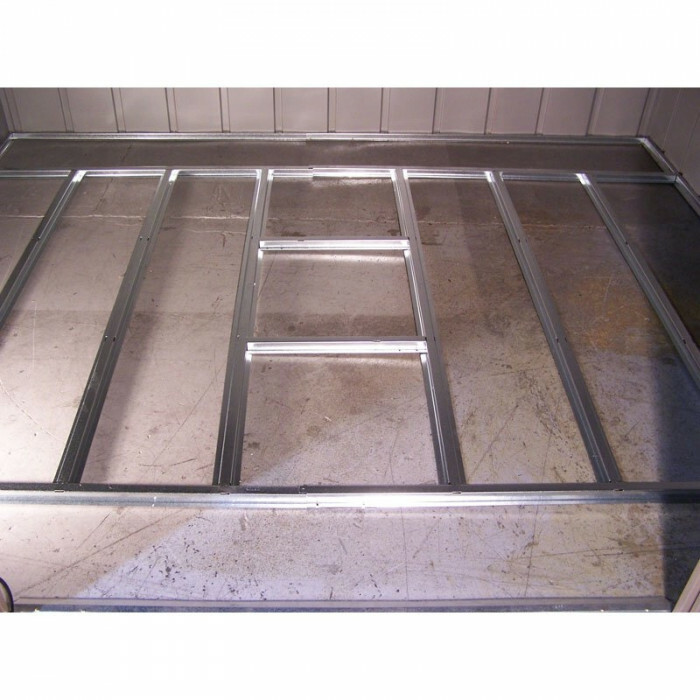 Produced in a double-baked-on enamel finish for durability. 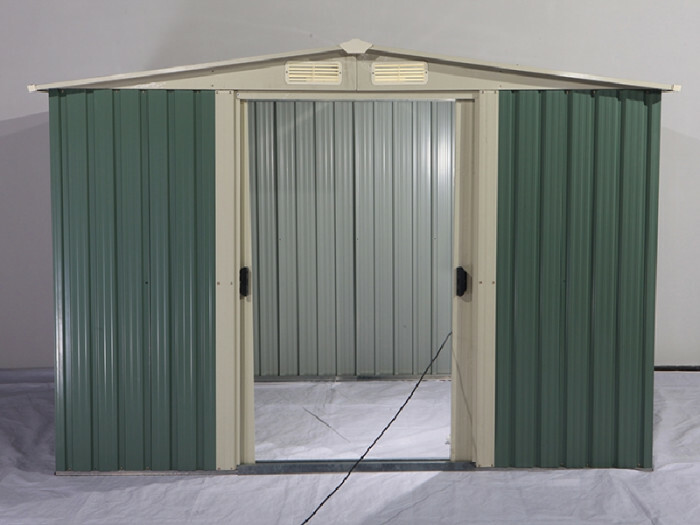 The shed has 2 doors which have deep runners entry ramp for opening and closing. These Metal garden sheds come flat-packed delivered FREE to your door, and also comes with a FREE FLOOR SUPPORT KIT. 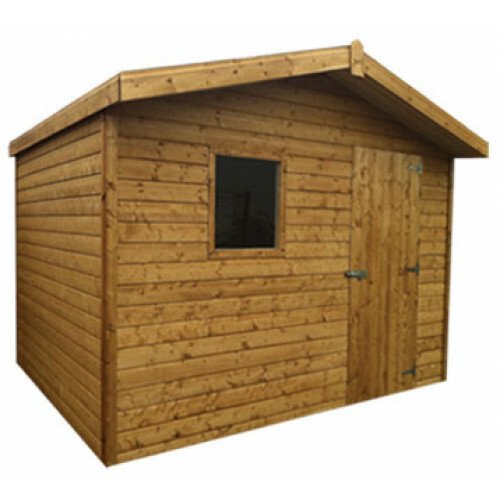 A free base is provided to ensure the shed sits on an even surface The base is a framework that sits inside the shed (base boards not included). 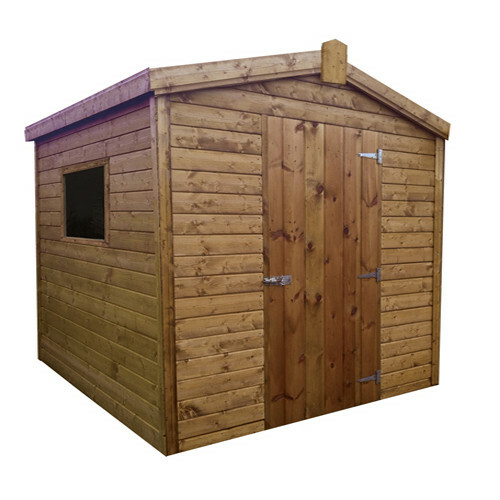 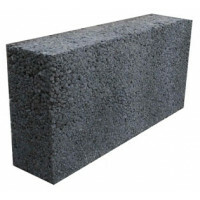 Please note if the base is used the internal height is reduced by the height of the base which is 6cms high - internal height of the shed is 5ft 10" or 5ft 9.5" with the base used. 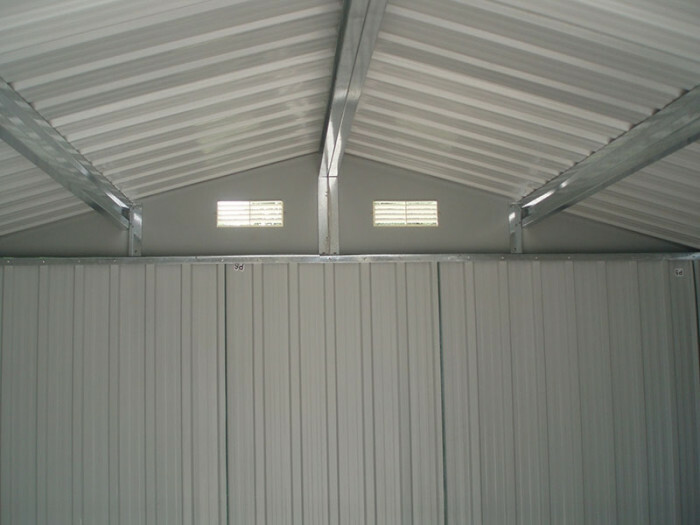 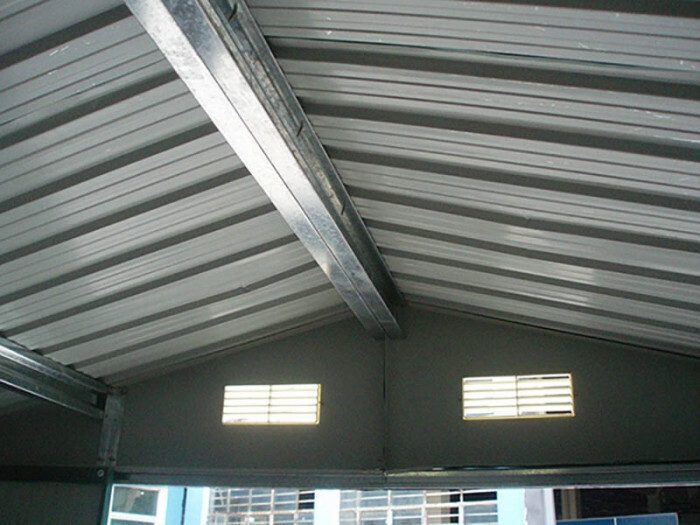 Check out how to install an Apollo Metal Shed. 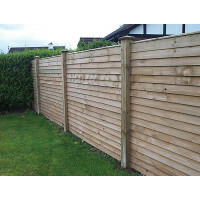 We also deliver to England & Scotland.